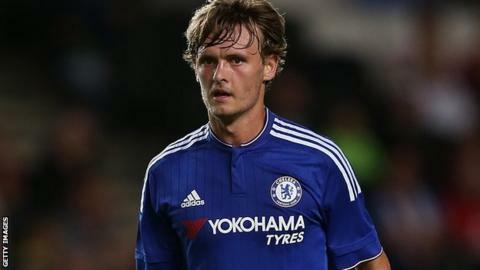 Brentford have extended John Swift's loan from Chelsea until 3 January. The midfielder, 20, has impressed since moving to Griffin Park on an initial one-month loan. "He has been a very good addition to the squad," Brentford head coach Lee Carsley told the Championship club's website. "It is important he doesn't rest on his laurels. His work-rate has been outstanding and if he wants to stay in the team he has to maintain that." England Under-20 international Swift has made four appearances for the Bees, who are 12th in the Championship, and scored in their 3-0 win at Charlton on Saturday. He previously had loan spells at Swindon Town and Rotherham United.